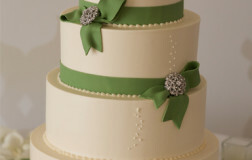 I know I have said it before but details really matter. 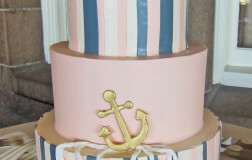 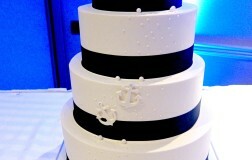 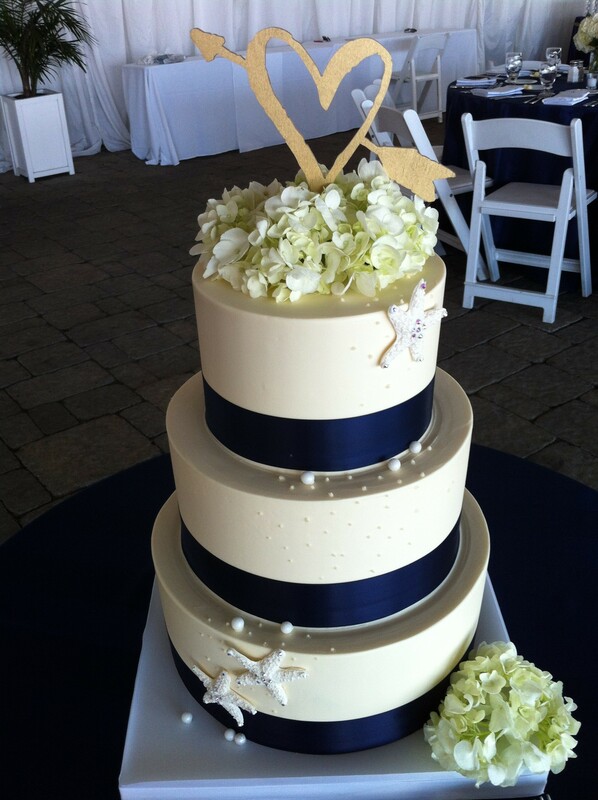 Such a fantastic cake; perfect for the Newport Yachting Center. 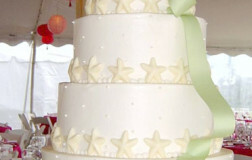 Topper was provided by the bride. 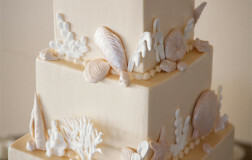 Be the first to review “Ocean Inspired” Click here to cancel reply. 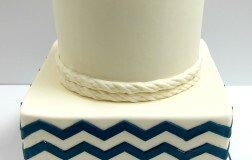 Who doesn't love chevron. 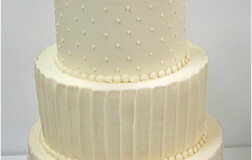 This cake image was taken before the remaining accents were put on the cake. 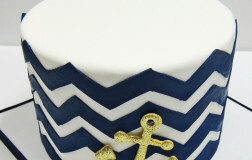 It has a slight nautical feel to it with the blue stripes and the rope banding. 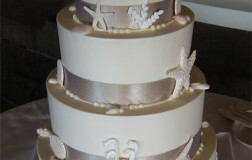 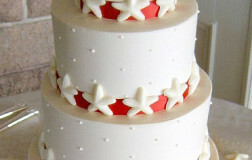 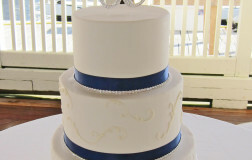 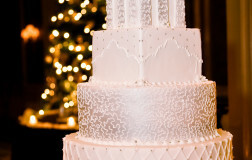 White chocolate starfish decorates this cake, along with a simple dot design. 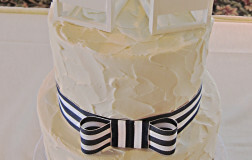 The ribbon adds great color contrast. 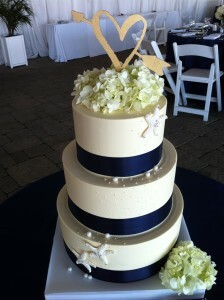 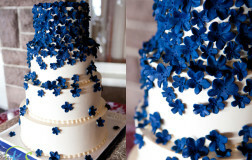 What is not to love about this adorable cake; perfect for an outdoor wedding! 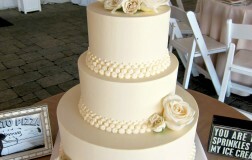 Simple elegance for a Belle Mer wedding. 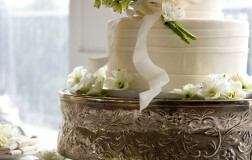 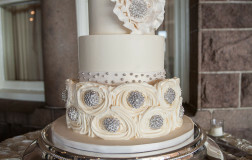 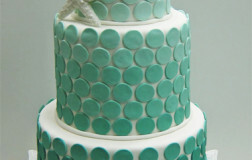 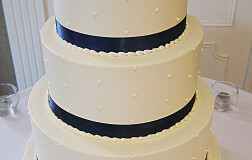 Little accents can make a big difference in the cake design.